Do you ever get cravings for a fresh baked cookie? Like, just ONE cookie? Despite my perpetually famished wild animal – like appetite… I do!!! 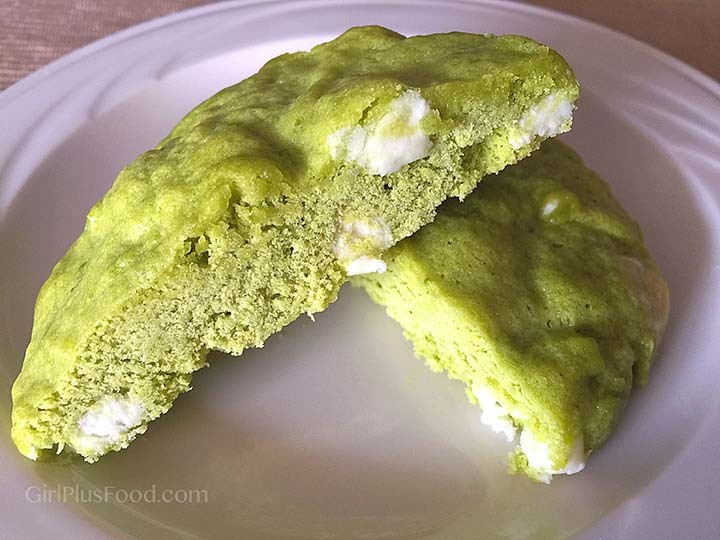 And this matcha, white chocolate chip cookie hits the spot! 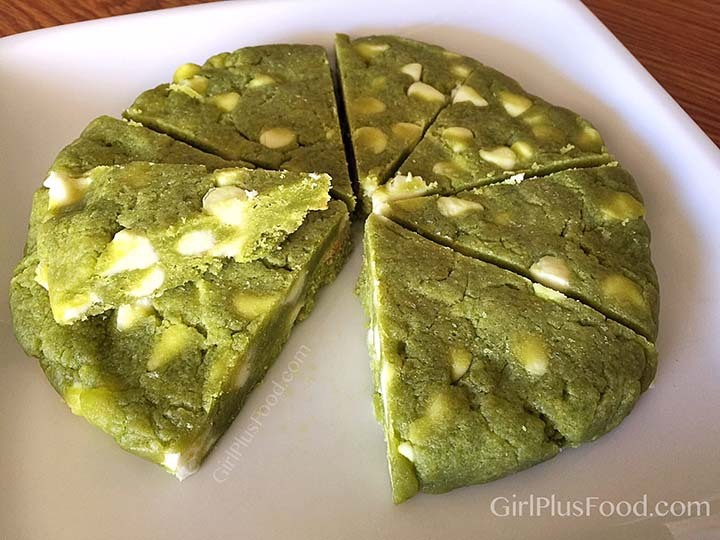 I’ve used matcha a few times before… like here and here (yeah, yeah… I’m 1/2 Japanese, so you’d think I absorb this ingredient from all parts of my body, right? Well, I don’t. But I will change my ways, I promise!!! )… and I have to tell you, THIS is my FAVORITE matcha recipe as of yet (out of the three total I’ve tried thus far)! 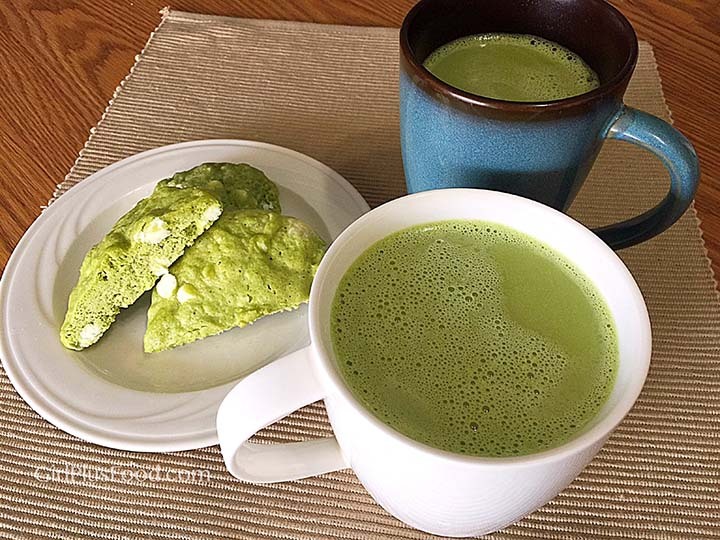 So fancy… served with matcha green tea latte! Line a large round microwave-safe plate with parchment paper. Combine all ingredients in a small bowl until smooth batter forms. 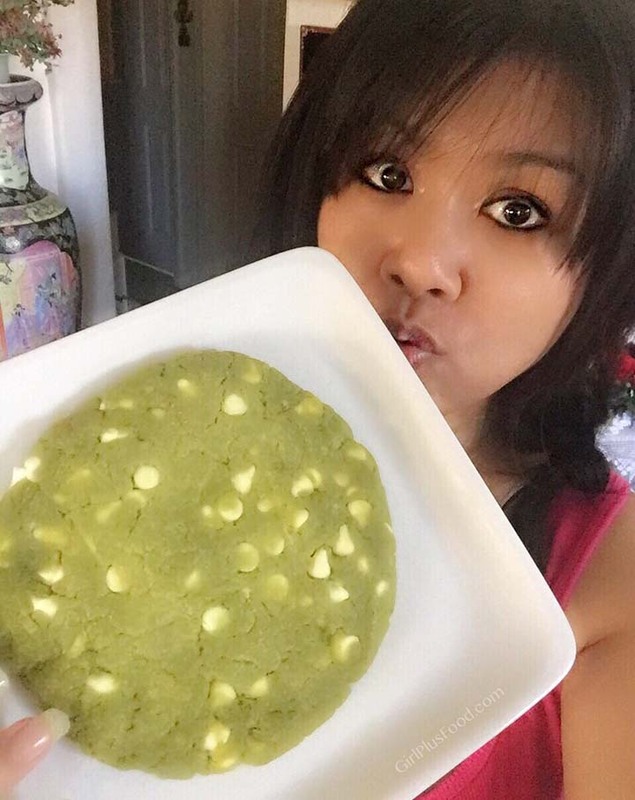 Scoop out batter into middle of plate to form a round cookie shape. Smooth surface with spoon or spatula if needed. Cook in microwave for about 50 seconds. Let cookie cool before eating. We x3’d the ingredients and made a GIANT one! … sucker’s even bigger than my face! Previous: Easy French Onion Fondue! 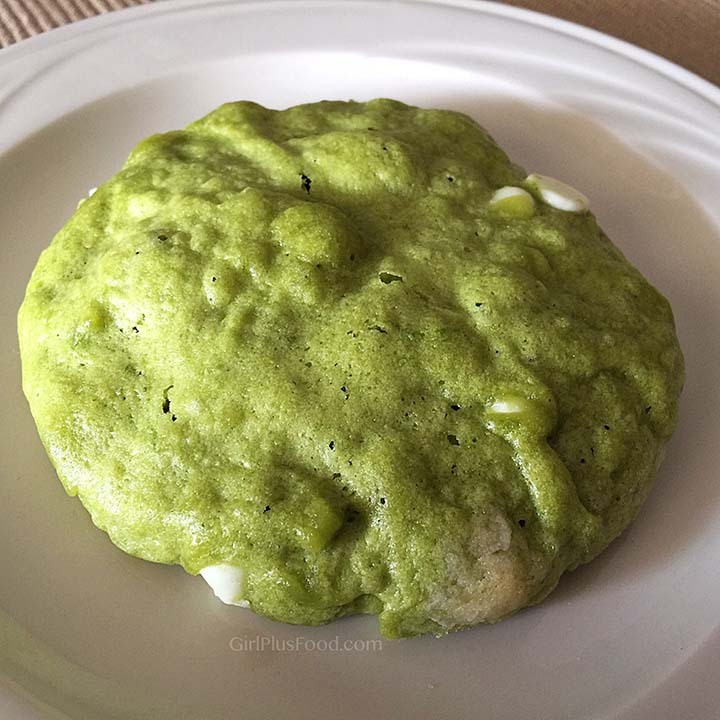 wow… it’s delicious, but can you please tell me one thing, it is healthy to bake or cook food in the microwave oven .